Tilmann Otto, a.k.a. 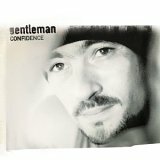 Gentleman, is the German king of reggae from Cologne. At the age of 13, inspirited by his brother's reggae records, he developed a burning passion for the genre. At the tender age of 17, he traveled alone to Jamaica for the first time, and learned and perfected the craft on the island where it all started. Otto first gained attention for his rock performances at festivals and for his commercially successful collaboration with the German hip hop band Freundeskreis. But it was with his debut album Trodin' On in 1999, that Gentleman cultivated the birth of a new reggae scene in Germany. His nearly perfect pronunciation of the Jamaican language Patois makes it hard to believe he is not a native, and in fact, the island has become his home away from home. That Gentleman has connections to some of the most well-respected reggae artists in Jamaica lends his music credibility. For his second album, Journey to Jah (2002), he was able to secure the collaboration of reggae superstars like Bounty Killder, Capleton, Lucioano, and Mikey General. The LP was highly successful. It spent nearly 6 months in the German charts and won an ECHO, the most coveted of all German music prizes. His third album, Confidence , appeared in 2004. Impressively, it landed at number one in its first week on the LP charts. Its 20 (!) songs provide a diverse mixture of sounds, some with percussion rhythms, others with guitar and bass or saxophone, and even some synth. The production includes duets and vocal accompaniments by more of reggae's best: Anthony B, Ras Shiloh, Tony Rebel, and the legendary Barrington Levy. Levy's stark participation shows the high esteem that Gentleman has earned for himself in the birthplace of reggae. He is, in fact, invited to play there frequently. Most of the recordings for this album originated in Kingston over the course of more than a year. Otto stands squarely behind the lyrics he writes; they are at once poetic and thoughtful. He writes, he professes, with the knowledge that he is writing for posterity. Once recorded and released, a song cannot be taken back. His attention to artistry has not gone unrecognized. In May 2004 he received two nominations for Best New Reggae Artist in venues that emphasize reggae and Caribbean-influenced music: the Martin Awards in New York and the Reggae & Soca Awards in Miami. And he took home the 2005 Echo Award for best German artist. Through Gentleman's substantial talent and influence, the German reggae scene has grown into a well-respected movement, even for Jamaicans, who lovingly refer to the German reggae god as "White bread".  Gentleman's label is Four Music, the very own label of successful German hip hop band Die Fantastischen Vier.